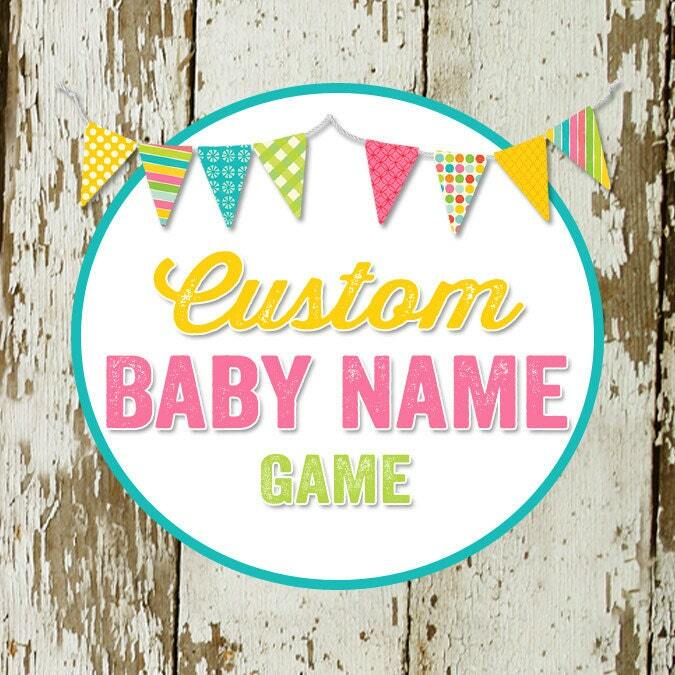 BABY NAME game to play for a baby or bridal shower. The guests try to create as many words from the baby's name as they can. This is just a sample of what can be done. 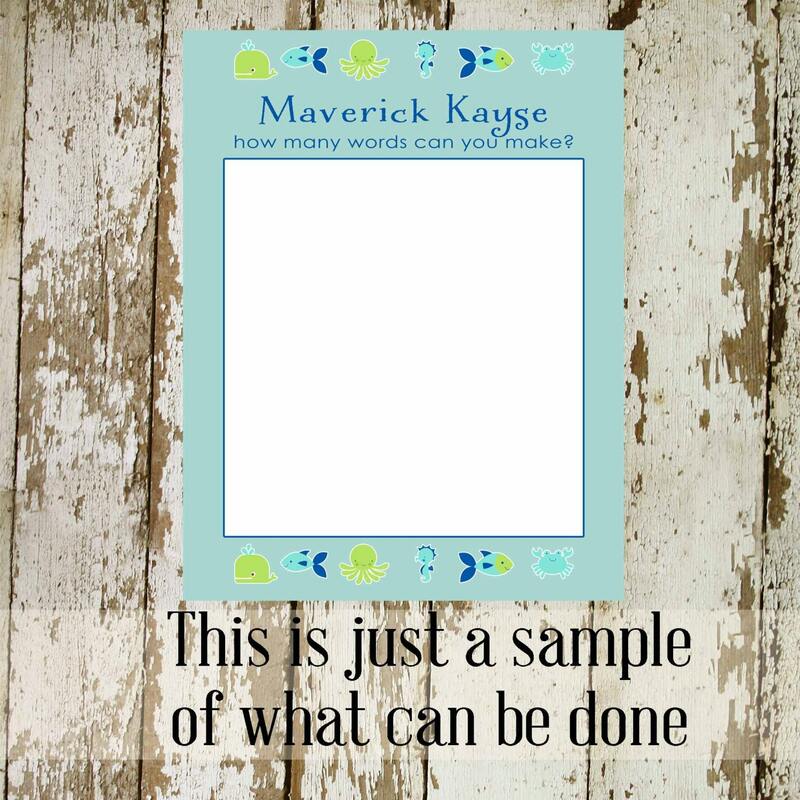 All cards are made to order to match our invitations.